Nick was born in Baltimore, MD and currently resides in New York City, NY. His passion for sports and entrepreneurship began at an early age. While playing sports his whole life, he channeled his focus and competitiveness into hustling on various businesses. He graduated from the University of South Carolina '17 with a bachelor's degree in Sport & Entertainment Management and also gained a Business Administration minor. USC was ranked #1 in the US and #4 in the world for the 2018 Global Ranking of Sport Science Schools and Departments (Shanghai Rankings’). During the summer of 2016, Nick founded FanPlan, a travel agency for sports and entertainment fans. He saw a huge opportunity to develop personalized travel packages for groups of fans. Nick would find groups of university students or alumni association members and coordinate the logistics behind their ticketing, travel, lodging, and hospitality for big-time events (mostly college football games). After attempting to pursue FanPlan full-time, Nick had to eventually dissolve the business in the summer of 2018. During Nick's time at school, he was the President and CEO of the University of South Carolina's Entrepreneurship Club (EclubSC). During his time in the role (April 2017 - May 2018), he took a struggling university club and 501(c)(3) non-profit corporation and merged the two entities into one organization with the same executive board. Balancing the university club and non-profit corporation allowed EclubSC to leverage the university resources (booking venues on campus) with being able to take on donations and operate separately from the university. EclubSC organized over 20+ keynote speaker events and numerous large-scale technology events. They also consulted independently for numerous startup companies for additional revenue. Upon leaving EclubSC, Nick was able to present the new executive board with sufficient money in the bank and partnerships with various key-stakeholders in the entrepreneur community. Nick was hand-selected amongst the nation's top student entrepreneurs by Quake Capital Partners to be a Collegiate Venture Associate. Quake is a unique accelerator focused on making seed-level investments in new and early-stage ventures across a wide range of industries. Nick was responsible for scouting and performing due-diligence on prospective startup investments (averaging $150,000 investment per company). His additional sports industry experience extends to working the Masters Golf Tournament for three years (2016, 2017, 2018). Working in the merchandise sales department at the 99th PGA Championship at Quail Hollow in Charlotte, NC. As well as working at the University of South Carolina's - Colonial Life Arena, a multipurpose arena used for sports, concerts, and live entertainment. Nick connected with Bob Hamer through LinkedIn while he was a student at the University of South Carolina. After they established a great rapport, Bob often gave Nick tremendous advice while managing his ventures. Bob also was a keynote speaker for a few of the Entrepreneurship Club's events. During the Fall of 2018, Nick connected with Mike Rudner at Sports Business Solutions (VP of Business Operations) during the last minutes of a sports business conference in NYC. After discussing, Mike eluded to an opportunity on their team. After Nick connected with the entire SBS team, the chips aligned, and they welcomed him to the SBS team officially on Jan. 14, 2019. 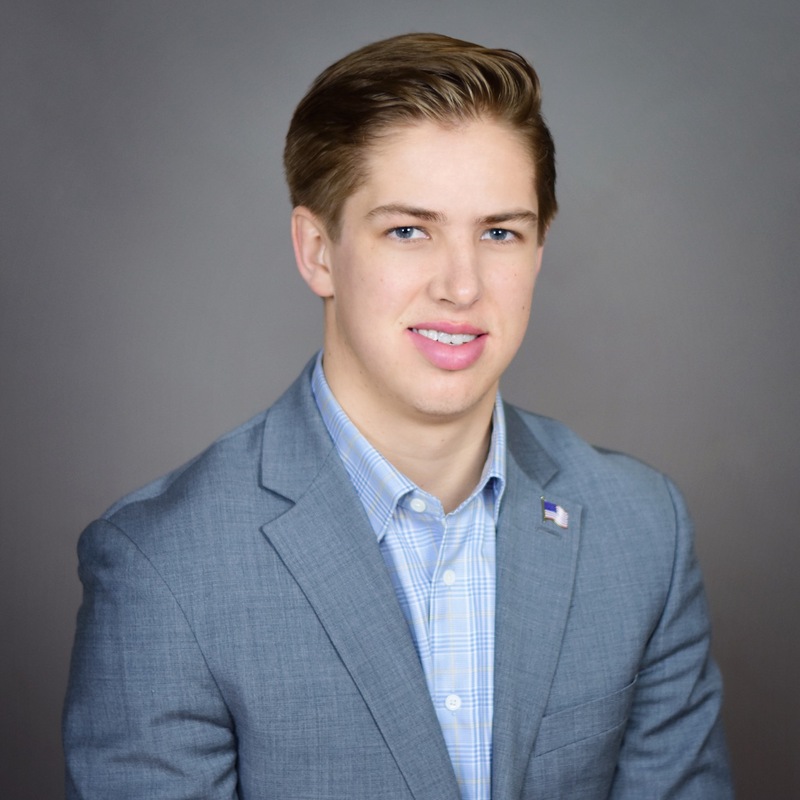 Nick is excited to help thousands of individuals in the sports industry and help drive significant new business revenue to Sports Business Solutions. Favorite activities: traveling & exploring cities, networking events & business conferences, watching/attending/betting on sports, building companies, working out, dining on great food & drinks, concerts & music festivals. Something most people don't know about me: Give me a well-known publicly traded company, and there is a strong chance I will know their stock ticker symbol. That's a little about me, I'd love to learn more about you! Click here and tell us more.